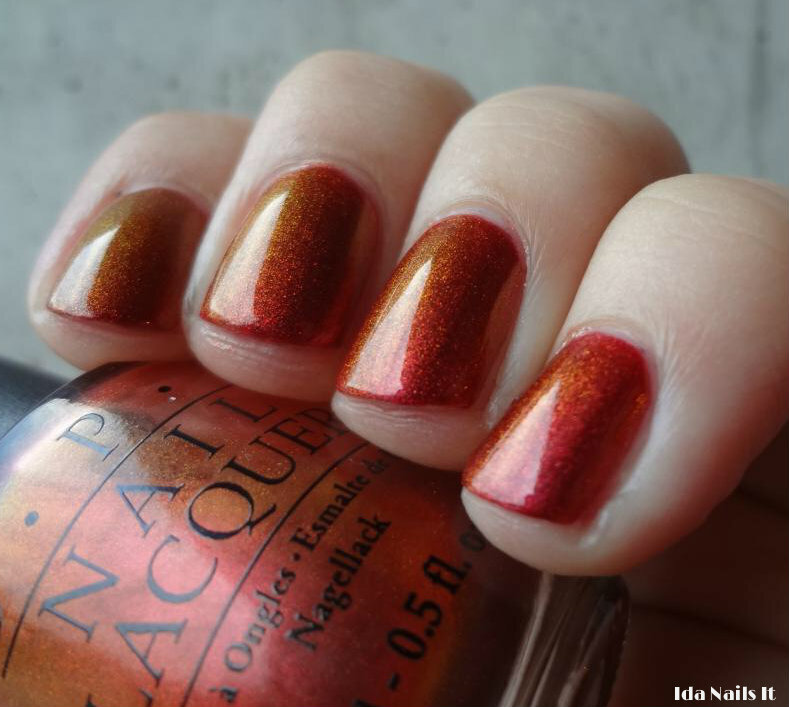 OPI Man of La Mancha is another oldie but goodie OPI. 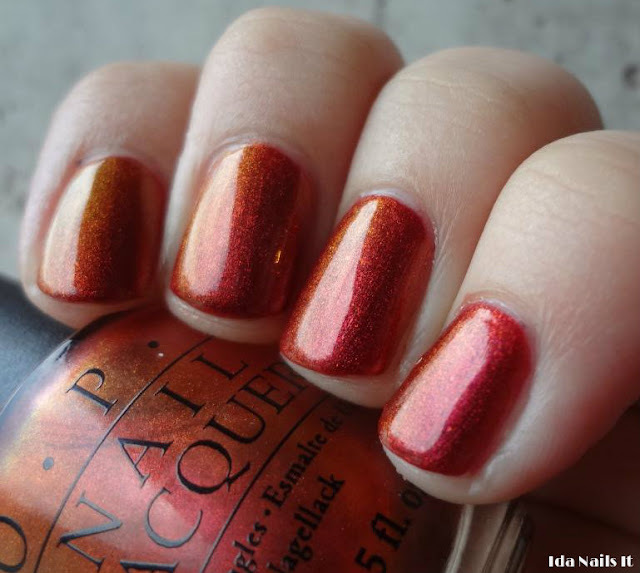 It was released in the 2003 OPI Holiday on Broadway collection. It is on the sheer side so I layered it over Hare Rusty Hearts. I love this stunning multi-chrome, it made my nubs look better than I could ever expect.